“Katie’s Mom Apple Bars.” I don’t know Katie or her mom but Katie’s mom apple bars are delicious. 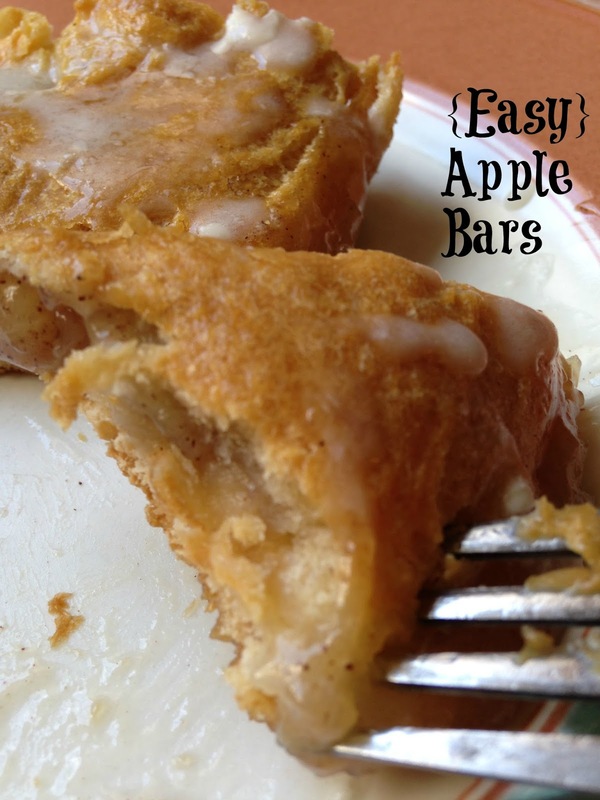 Easy Apple Bars are called easy because this recipe has very few ingredients, two of which are packaged crescent rolls. 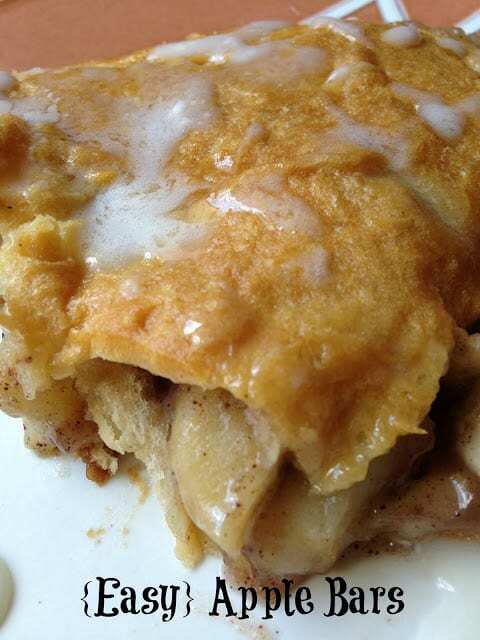 You could easily substitute crescent roll sheets when making this recipe which would make these apple bars even easier. When making any apple recipe I like to combine two or three different kinds of apples. The only real rule of thumb to this method is to use the same type of apples for instance; use two or three different kinds of cooking apples. Several types of cooking apples can be combined together to make a pie because they tend to cook the same. Don’t combine eating apples with cooking apples to make a pie unless you like a firmer apple when baked. Apples and how you use them is a personal preference. 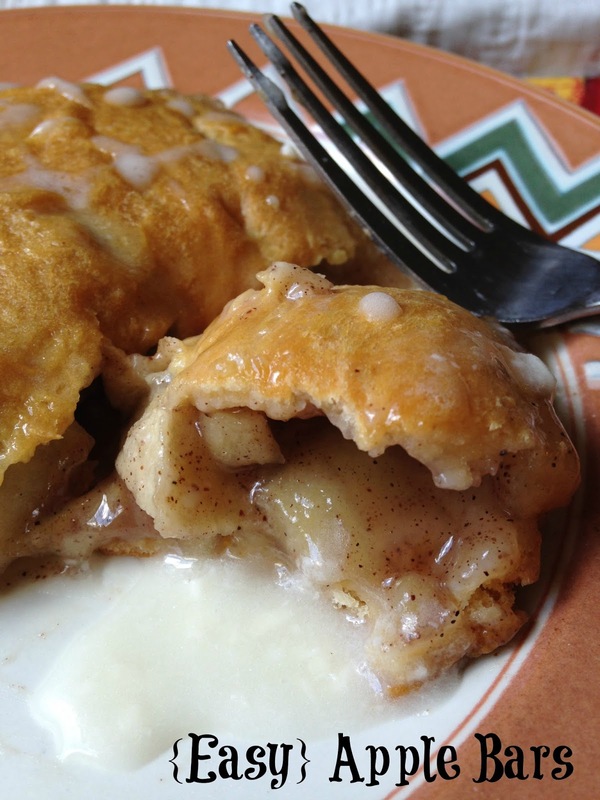 Some people like a firmer baking apple, while others prefer a softer texture apple for baking. 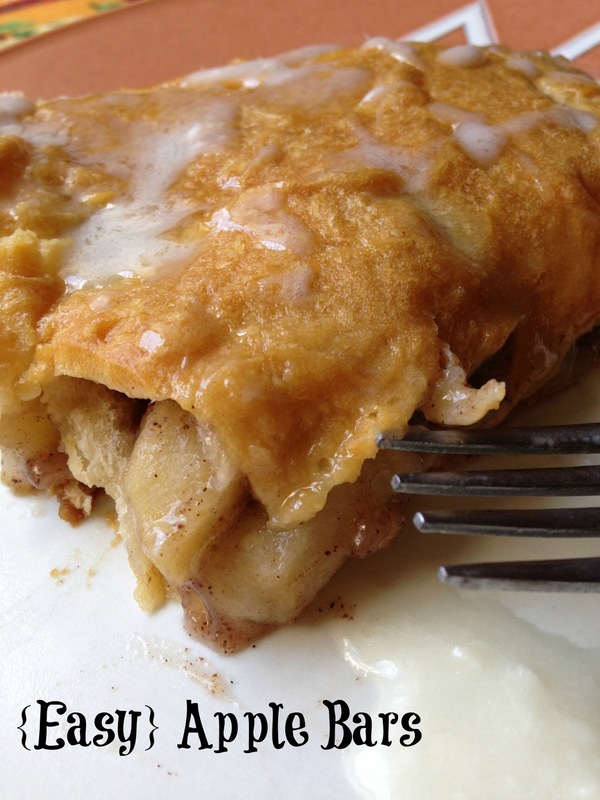 Find a combination of apples you like and make your apple desserts using that combination. Unroll 1 package of crescent rolls into a 13 x 9-inch baking dish. Press together perforated edges. Mix together sugar, cinnamon and flour. Toss in apples. Spread on top of crescent rolls in baking dish. On lightly floured surface, unroll second package of crescent rolls. Press together perforated edges. 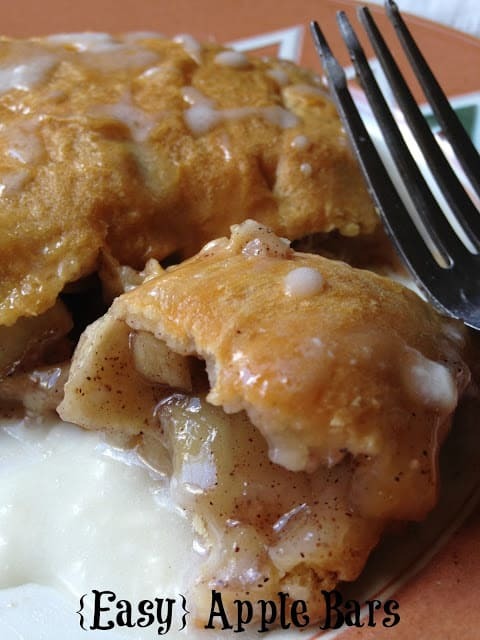 Carefully place crescent roll dough on top of apples, seal edges. Cut 3 slits in top of crust. Bake for 30 to 40 minutes or until crust is golden brown. Remove from oven and cool slightly on a wire rack. 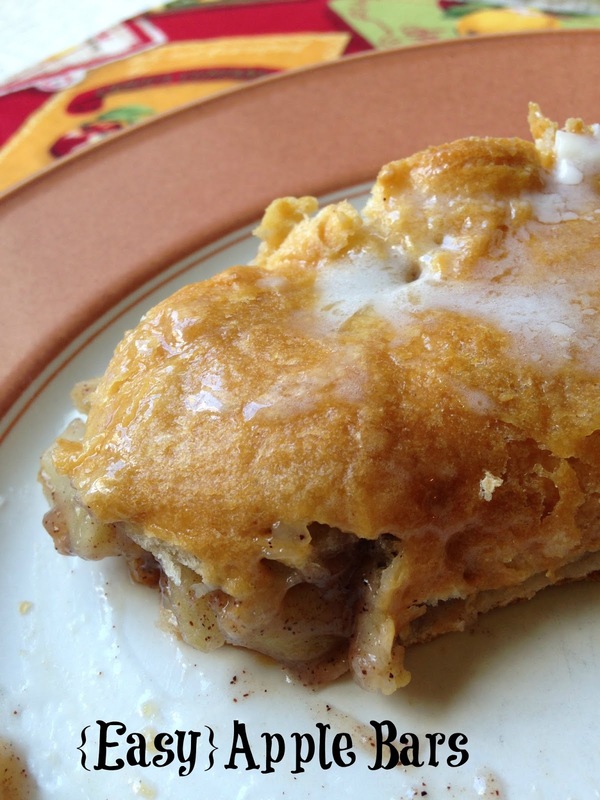 Mix together powdered sugar, softened butter and milk until of drizzle consistency, adding more or less milk if needed. Drizzle over warm apple bars, serve. Thanks so much for sharing your delicious Apple Bars with us! Have a great week and hope to see you at Full Plate Thursday again real soon!